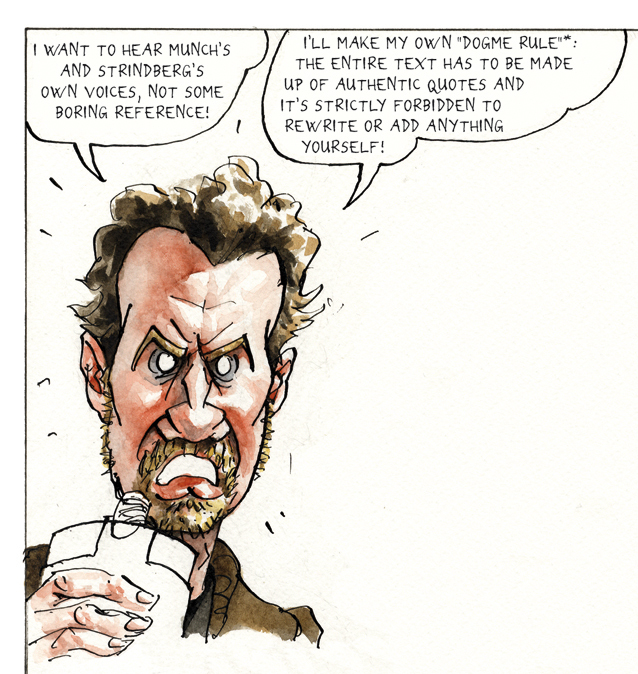 In the ground-breaking and authentic graphic biography Munch, Norwegian comics artist Steffen Kverneland, explores the relationships and obsessions that drove the artist behind “The Scream”. 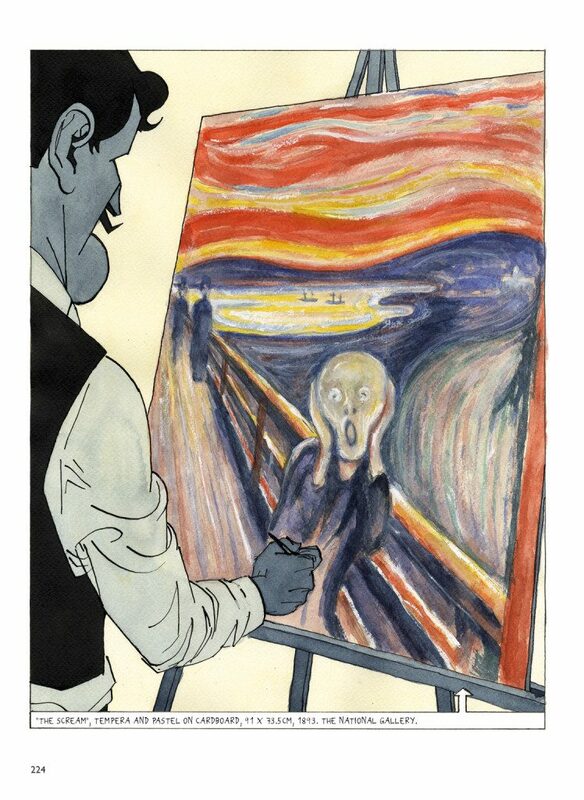 From “Munch” by Steffen Kverneland. 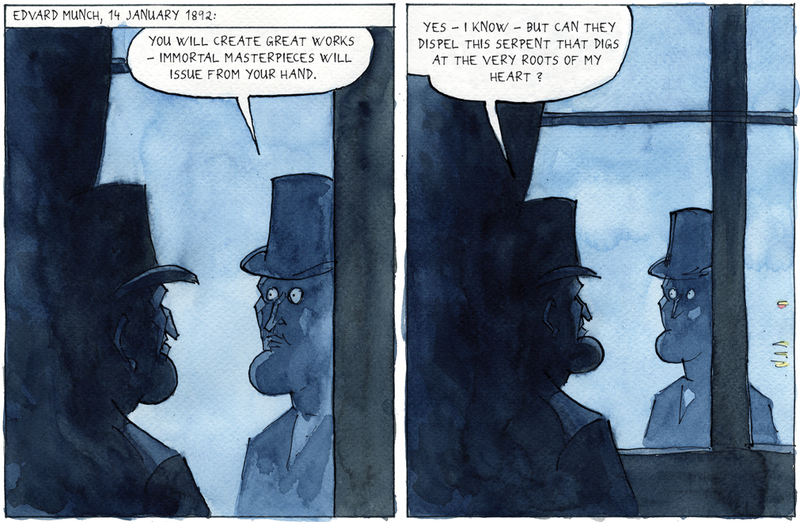 Photo: SelfMadeHero publishing. Most of the text in Munch is drawn directly from diaries, letters and other written material by Munch himself, his contemporaries and colleagues. To this, Kverneland has remained faithful – even to the artist’s spelling mistakes and idiosyncratic use of punctuation and grammar. 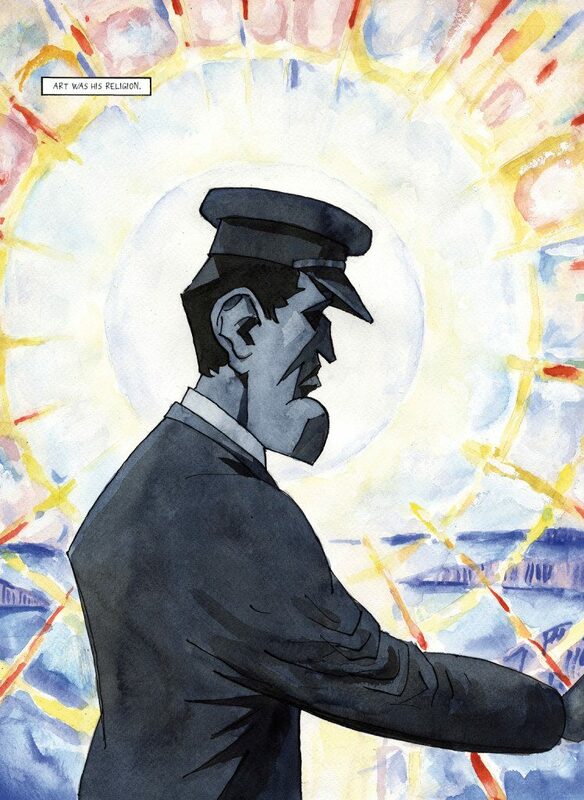 By working with the material like this, Kverneland has been able to create an intimate and inventive portrait, where Munch in many ways gets to tell his own story in his own words. 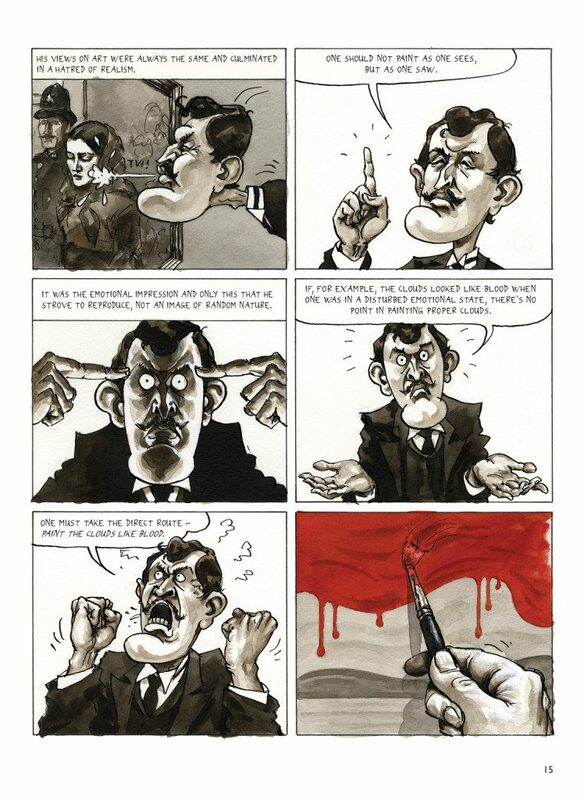 Kverneland, who is an award-winning comics artist, has made a book that offers an insight into the thoughts and feelings that inspired Munch in his work, partly by focusing on Munch’s formative years in Paris and Berlin, his love affairs and family dramas, and the friendship between Munch and his fellow painter and playwright August Strindberg. In the biography Kverneland explores some of Munch’s most celebrated paintings, including “The Frieze of Life”, “Madonna”, “The Girls On The Bridge”, “Vampire”, “Summer Night” and, of course, “The Scream”. 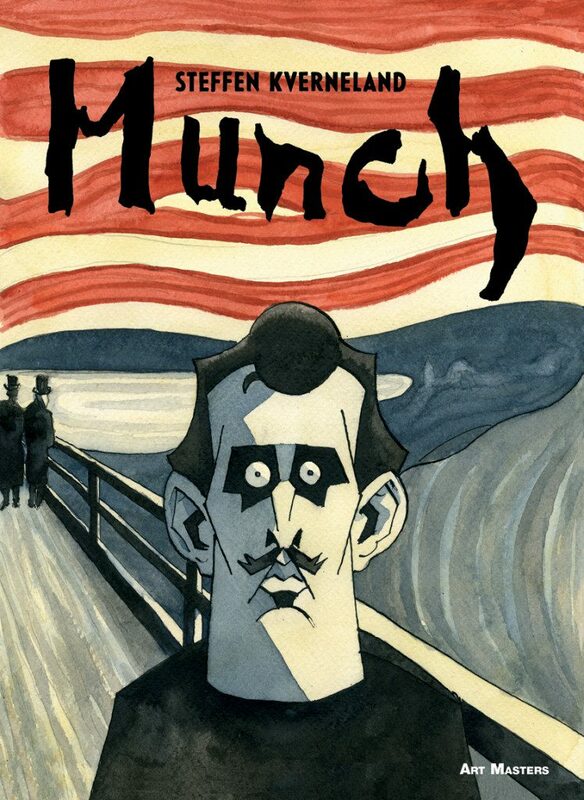 Munch is a biography with a number of narrative intrusions. 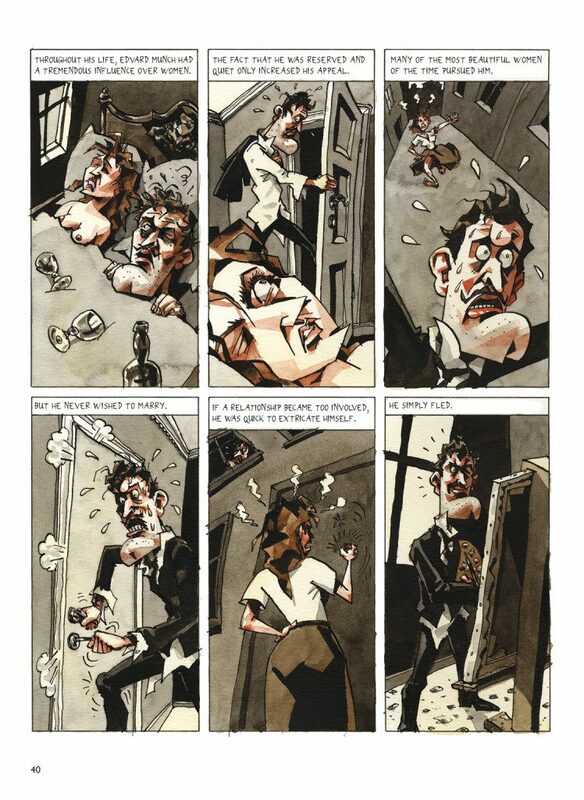 Kverneland has an innovative approach, and together with his friend and colleague Lars Fiske, the author seeks out the precise locations represented in Munch’s best-known paintings. By walking in Munch’s footsteps and immersing himself in research material, Kverneland succeeds in debunking the familiar myth of the half-mad expressionist – anguished, starving and ill-treated – to reveal the artist’s neglected sense of humour and optimism. You can view more pictures from the book in the gallery below. If you wish to view the original art in real life, you better head for the National Gallery of Art in Oslo where it is displayed. For those not going to Oslo anytime soon – Munch is available in English now, and can be ordered from bookshops sucha as Amazon and Foyles. “Munch” by Steffen Kverneland. 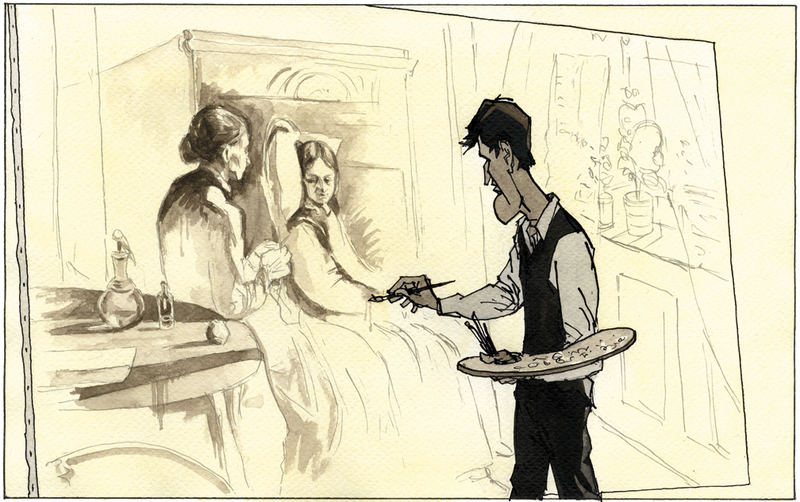 Photo: SelfMadeHero publishing.